Erik's serves up delicious gluten free New Zealand Fish and Chips, a tempting range of seafood including scallops, oysters, calamari and mussels, plus some very tasty desserts. All your favourites are on the menu including succulent Blue Cod and there are also some surprises like our red onion wedges. Eriks Fish and Chips is committed to sourcing as many local ingredients as possible. Our fish comes from Dunedins Harbour Fish and is delivered to Queenstown daily. Our potatoes are grown in Canterbury, with a great taste and low levels of fat, and our delicious kumara wedges are home made. And if you're feeling adventurous, how about a deep fried kiwifruit or banana? 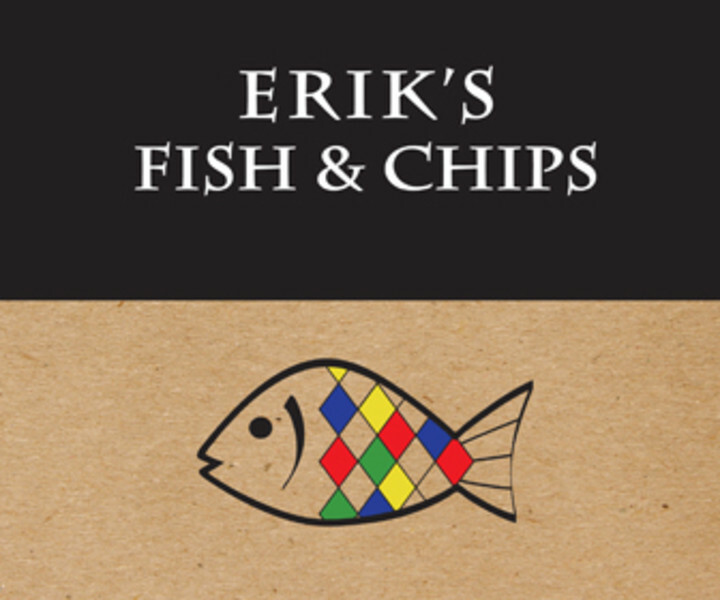 Because Erik's family have faced food allergies and intolerances, he wanted to find a way to bring all the flavour fish and chips, without the (stomach!) pain. And so we have a dedicated gluten free kitchen area, and the majority of our food is 100% dairy free. Order online via our website or mobile app for pick up or delivery across Queenstown including Fernhill, Arthur's Point, Frankton and beyond. Dine-in at our unique dining trailer to escape the cooler winter days or enjoy fish & chips on the Queenstown lakefront, just 1 minute walk from our door. 13 Earl Street, Queenstown. Open 12 Noon - 9pm. 150 Frankton Mile Hwy at Shotover Garden Centre, Frankton. Open 12 Noon - 8pm.